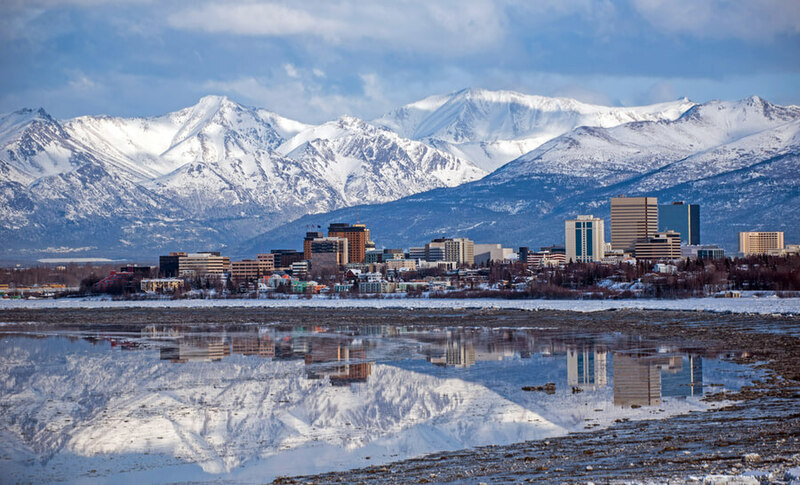 Bridge Counseling Connections located at Anchorage which is the largest metropolis in Alaska was founded in 2008 and just celebrated its 10 years of providing quality outpatient treatment plans to adults in need of the service. This facility is one of the best, and affordable outpatient treatment facility there is in Alaska. Although this facility does not offer any other treatment options other than outpatient treatment, patients who are assessed and found to be needing extra treatment plans like medically assisted detox and inpatient treatment plans are quickly referred to a nearby qualified facility that offers them. Bridges counseling Connections employs experts who have years of experience in the rehabilitation field of medicine as their staff who draft different therapy sessions to suit their patient’s recovery needs. The staffs have been mandated to work closely with their patients, and the patients are advised to cooperate in order for them to get the full treatment service. Client’s who want to be admitted into this facility are required to have a meeting with the facility’s counselor to assess them and know the actual level of care needed. During the assessment process, the counselor would decide if the patient needs to undergo medically assisted detox or inpatient treatment program at another facility prior to the beginning of the outpatient treatment program. Patients are required to attend the weekly group and individual therapy sessions, and although the duration of the treatment plan is currently uncertain, clients can get more information on contact with the facility. At Bridges Counseling Connections, patients undergo a series of assessments by the facility’s counselor to know and understand their substance abuse history, also to figure out which plan would be best for them and if a specific patient needs to apply for inpatient treatment option and medically assisted detox at another facility prior to their admission at theirs. At this facility, patients are not treated with the usual 12-Step treatment option but are advised to attend regular outside AA/NA meeting and find a reliable sponsor. Other treatment options like holistic treatment, aftercare support, inpatient treatment, sober living homes, etc are not available at this facility, but patients who are in need of those treatment plans could get referrals to get the required treatment from another facility. Although Bridges Counseling Connections offers only outpatient treatment services, they offer their patients a variety of therapy choices which are included in their individual treatment plan. At this facility, group sessions are conducted by the facility’s counselor and usually accommodates up to 12 patients per group. The duration and intensity of the group sessions are highly influenced by the counselor’s analysis of the patient’s needs. There are various group sessions offered at this facility such as healthy living groups for adult patients living with diabetes, empowerment and self-image group for teenage girls, trauma groups, and a women’s support group which last for up to 10 weeks. Bridges Counseling Connections is not an accredited substance abuse rehabilitation treatment service provider. Established in 2008 at Anchorage Alaska, Bridge Counseling Connections have been providing rehabilitation treatment services to clients in need of their services all over Alaska for over 10 years and has gained a reputation in doing so. This facility is one of the best and cheapest substance abuse treatment facility in Alaska providing standard rehabilitation treatment to their patients. Although this facility strictly offers outpatient treatment options, they have succeeded in treating a lot of drug abuse affected individuals in society utilizing their unique set of therapy choices and a team of staff ready to ensure that each patient receives the standard treatment needed. At Bridge Counseling Connections, staffs here are licensed individuals who have been highly trained to treat patients suffering from addiction problems. The staff which comprises of therapists, physicians, counselors, psychiatrists, psychologists, and nurses are all Master-level experts and have years of experience in treating addicts. The staffs work up close with the patients to know when the patient is going off track and to help them get back on the recovery process. They also aid in the running of the facility and make sure that every aspect of the facility is well taken care of and no problem arises.